SHIPPING markets may rise, fall, or just sputter along, but it’s hard to recall the last time George Economou was out of the headlines. When opportunities beckon in shipping, Mr Economou is among those who can and will press the investment buzzer swiftly. Once again, the industry stands before the gates of opportunity for bulkers and tankers, he says in an interview with Lloyd’s List that offers a peek into his recipe book for success. Timing and the flexibility to adjust are “very important”, according to the shipowner, who — in addition to controlling a large privately-owned fleet — is chairman and chief executive of Nasdaq-listed companies DryShips and Ocean Rig. “Shipping is a mature business, which means that it will be cyclical. There are no technological advances out there, really — and as long as that is limited, you have to pick your cycles,” he says. The numbers — more about them later — say historical returns from the shipping business are modest, so the point of investment is critical. “If you enter mid-cycle, you can expect to make 7%, which is the mean return of the past 40 years,” Mr Economou says. The words are already trailing behind actions that eloquently testify to Mr Economou’s belief that the industry is in the early stages of the next recovery cycle — even though he and his advisers feel the dry bulk shipping market hit bottom back in February 2016. Last year, though, he was still wrestling with the company’s liquidity and debt problems. There was too little of one and too much of the latter. 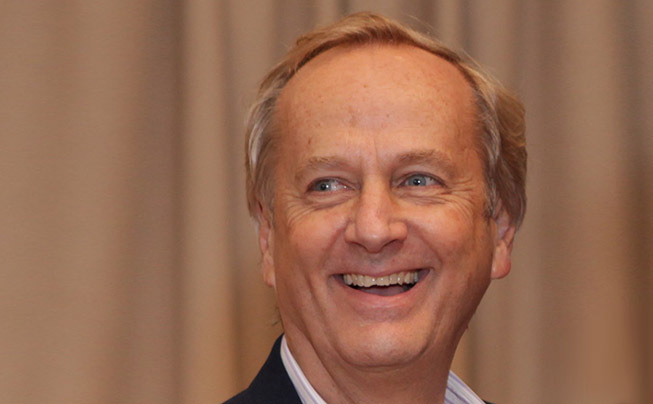 In recent years, as DryShips toiled, Mr Economou has stepped in at various moments to inject more of his own cash, or relieve some of the burden by buying the company’s major tanker and bulker assets for the private side of his empire. Lately, he has even become the company’s major lender. Having thoroughly scoured the company’s balance sheet to create virtually a tabula rasa, management sowed the seeds of rebuilding the fleet by starting a series of equity sales through little-known Canada-linked company Kalani Investments. In a six-month period, DryShips raised about $570m of equity using this channel and lost little time in putting the money to work in inking deals to buy 17 vessels. 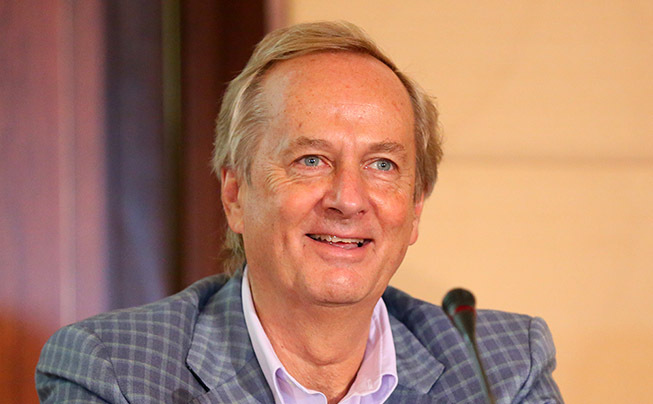 “DryShips has been transformed from a bankrupt company to a very solid company because we raised a lot of money in capital markets,” Mr Economou says. 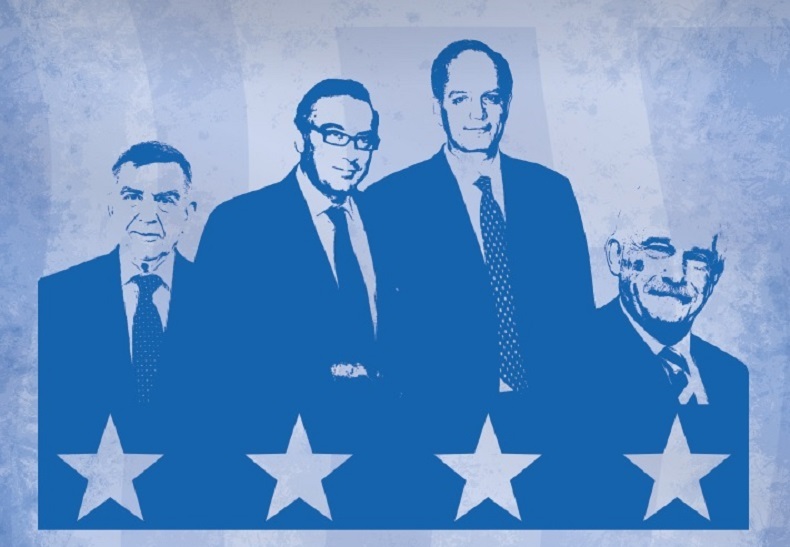 The 63-year-old shipowner is noted for placing big bets throughout his career, so the current expansion of DryShips joins a line of eye-catching investment gambits, such as the company’s 2005 debut as the first pure-play dry bulk investment vehicle to list in the US and capture the China effect on bulker demand; or Mr Economou’s controversial move, from 2007, to diversify the company into the offshore drilling market. It was always thus. After a stellar academic career at MIT and spells with shipping companies in Greece and the US, he became a shipowner in the mid-1980s by selling his New York apartment and putting all of the proceeds into a career-making joint venture with Petros Pappas. “I started with almost $400,000 at an opportune time. Now we are starting at another opportune time in the shipping markets — with $400m,” he says of DryShips’ ongoing expansion. It is clear the company will be doing very well if it comes anywhere near to matching the returns the owner made in those debut years. While there have been plenty of headlines recording the owner’s bold and creative deals, he has also had to show himself adept at playing a tough hand effectively whenever one of his ventures sails close to disaster. On the one hand an impressive act of sorcery, the resurrection of DryShips has not always been pretty and many shareholders have been wiped out after epic dilution and serial reverse stock splits. Mr Economou had been there before, with failed junk bond venture Alpha Shipping at the end of the 1990s. Even now, there is as much defending to do as offence action. Former DryShips subsidiary Ocean Rig has fallen victim to the brutal slump in the offshore oil and gas sector. Since March, the owner of nine modern drillships and two semi-submersibles has been in the bankruptcy courts in New York and the Cayman Islands as it seeks to restructure. Despite one leading bondholder that has opposed the restructuring, the overwhelming majority of creditors have given their backing to the latest version of the plan and Mr Economou is hopeful the process can be completed “by the end of the summer”. When Ocean Rig bit the bullet and sought court protection for restructuring, it seemed to do so with its chief executive’s signature alacrity. “It is wise to go early,” he says. “Eventually everyone will reach the same conclusion but it will be worse if you let it go and have to file later [for bankruptcy protection],” he says. Ocean Rig could be left with just three units operational by year’s end, with another two forecast to join the six already laid up. He believes the downturn in offshore could last “another four years” but there is little immediate sign that he contemplates throwing in the towel. In fact, he is already looking ahead to catching the next wave. It is not hard to imagine the shipowner interrogating a forest of digits, rather like mathematics genius John Nash, celebrated for putting game theory at the heart of economics, as portrayed in the Oscar-winning film ‘A Beautiful Mind’. In one scene, Dr Nash stands before walls of numbers on digital screens at the Pentagon, where he has been brought in by the military to crack coded Cold War intercepts from the Russians. “Do you ever… just know something, Dr Nash?” asks a general. “Constantly,” says Nash. Hollywood’s version of the Nash story is one of Mr Economou’s favourite films. For him, maths, along with playing the piano, was an early passion. One of his most insightful perceptions, though, was that becoming a mathematician was unlikely to bring the lifestyle he hoped for. An early advocate of data in an industry that “back then generally did not” pay much attention, the shipowner currently employs two specialists whose sole job is “looking into the numbers”. While having a reliable picture of current supply and demand is important, he contends that having a long data trail and a history of actual trading is necessary for an educated opinion and an ability to project into the future. DryShips, which launched on Nasdaq in early 2005, made a lot of money. During his US roadshows the year before, Mr Economou had highlighted China’s imminent take-off with its transformative need for commodities, especially iron ore.
“Over time, shipping ventures have made a return of 7% on total capital employed, with the exception of the super-cycle period. A lot of industries had higher returns, so because returns were very small from the 1970s and on, there was underinvestment in the sector. That changed radically when the Chinese came into play. DryShips began with six elderly bulkers but by 2007, had expanded to a market value of $4.5bn. As a group, the fleet included 65 bulkers, two-thirds of them under the Nasdaq-listed company. Throughout 2007, Mr Economou had been carefully watching the mercury level of ships on order rising, until it showed a critical 70% of existing fleet capacity. To reduce exposure, a number of vessels were sold — generally for huge gains — while the majority were locked into long-term charters, which would earn rates that today appear astronomical. But, orderbook concerns notwithstanding, while the owner remained confident that lucrative long-term employment was available, DryShips kept renewing its fleet, paying some of the highest prices ever agreed for dry bulk tonnage. In October 2007, the company purchased Mystic, a capesize newbuilding resale, for $147.5m. The next month saw it pay $152.5m for the six-year-old Gran Trader, which was renamed Capri. At end-April 2008, DryShips acquired the 2004-built, 170,000 dwt Nightflight from fellow Greece-based operator Alcyon Shipping for a secondhand record price of $158m. It was renamed Flecha. All three vessels remain today in the group’s privately controlled, TMS-managed fleet. He concedes if dry bulk rates were to go “crazy” again, then he would try to repeat the trick and put away as much of the fleet as possible on period charters. But he doubts that rates will bounce to the levels seen during the super-cycle. “Now we are going to see good rates,” he says. “But we won’t put all our money into dry bulk. Going forward, dry bulk growth is not going to be that great. “In 2004, when we were ready to go public, there were 700 capes. Today, there are 1,700,” he notes. Barring the unexpected reappearance of fantasy charter rates, Mr Economou will stay true to his convictions as a spot market player. Again, the numbers back him up. “Over 40 years, the spot market has outperformed the [period] charter market. We are always going to be a spot market player. In the long run [in dry bulk and tankers], if you play the spot market all the time, you will do better than if you charter-out longer term,” he says. So far as there is a public spotlight on Mr Economou, it has been trained on the rollercoaster ride of DryShips and the travails of Ocean Rig. But in terms of industry exposure, the majority of the business lies in his TMS-managed private fleet, currently numbering 84 vessels in the water and another 14 on order. The existing fleet includes 31 capesizes and 11 panamax bulkers, 35 crude tankers and two medium range two tankers, five liquefied natural gas carriers and a solitary post-panamax container vessel. If there is any disequilibrium between the dry and the tanker sides, it should be righted by the newbuildings that are on the way between now and 2019. They are all crude tankers, with the exception of a sole newcastlemax bulker under construction in China. They include four very large crude carriers recently ordered from Hanjin Subic Bay, three suezmaxes from Shanghai Waigaoqiao Shipbuilding and a total of six aframaxes from Samsung Heavy Industries and Jiangsu New Hantong Ship Heavy Industries. “We have a diversified fleet and it is balanced between dry and wet,” Mr Economou says. “The tanker fleet is a little younger but both sides are modern and all are trading spot, with only two or three ships time-chartered. DryShips, meanwhile, has begun to be as eclectic in its growth as the private fleet. After ending 2016 with a pruned-back fleet of 13 panamax bulk carriers and six offshore support vessels, it has acquired nine modern secondhand bulkers — four newcastlemaxes of 205,000 dwt and five kamsarmaxes. In addition, the company has returned to the tanker business with secondhand acquisitions of a VLCC and an aframax. A newly built aframax and a suezmax newbuilding resale have also been purchased. On top of this, DryShips has taken over contracts for four very large gas carrier newbuildings due this year from Hyundai Samho. Often criticised for related-party transactions that offend the purists, the company recently felt obliged to underline that 12 out of its tally of 17 buys came from unaffiliated third parties. Worth observing, though, is that all five of the sales from the Economou private fleet — the suezmax newbuilding and four VLGCs — come with long employment contracts that appear to offer the public company some security of earnings. 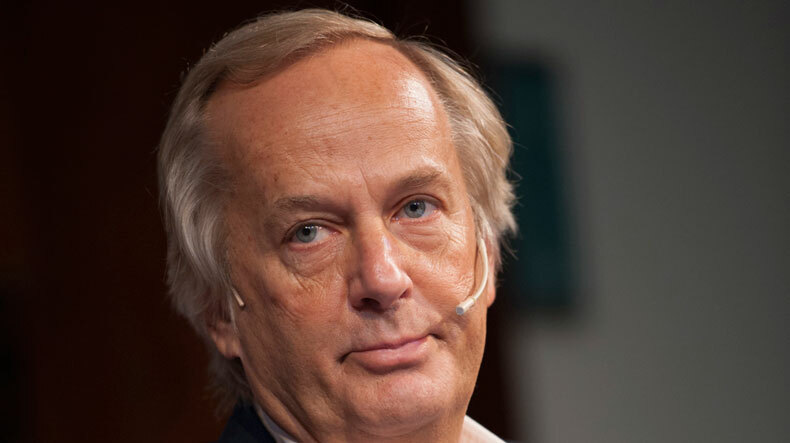 Dilution has taken its toll on his own stake in DryShips, which is now “minimal”, but Mr Economou derides notions that this will diminish his commitment to the good of the company. “I am very American in my mentality," he says. "In the US, people are very driven and I am very goal-driven. That is not the same as wanting to be the biggest. Mr Economou is already on record as querying the benefits of consolidation in bulk shipping. Bidding to steer DryShips to sunnier climes, the shipowner expresses the hope that investors will understand the course that is being set and the positive prospects for the company. That largely means retail investors who have been the main buyers of the stock. Entrepreneurs and major investors do not always prioritise the same strategies, Mr Economou says, pointing to the diversification in the company’s fleet. “If you have institutional investors, anything which is not pure play is not attractive because they want to choose their own destiny. They prefer pure plays. As an entrepreneur, I would rather put my money in a portfolio, to take a balanced approach, as the downside is smaller. “But protecting your downside is not maximising your investment. You can’t have both.,” he says. One aspect of running a public company is not an either-or proposition, though. “Full disclosure is essential,” Mr Economou underlines. But that, too, is a habit that goes back to the early days and was one of the fruits of a competitive nature. When he acquired his first ship, he asked top accountancy company Coopers & Lybrand to keep audited accounts, a rarity in Greek shipping of that era. “My attitude was to have everything recorded,” he says.